7 Tips to Prepare For Your Fall or Winter Move With Us - MoveStar Inc.
Let’s face it. Moving during Fall and Winter months can be hectic. The weather can be windy, cold and unpredictable, the sun begins to set earlier and holiday shopping and decorating is often put on hold! However, waiting to move until the colder months can be a smart idea if you choose to hire a moving company. Choose MoveStar Firemen Movers to help put you at ease during your Fall or Winter move with lower moving rates and a variety of resources available. Good packing is time consuming but essential for a smooth move. If you choose to do your own packing, double pack your items and allow enough time to complete the job. 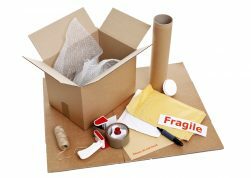 If requested, MoveStar’s packaging services are available – Have our excellent team of packers on-hand to make the job easy and stress free. Packing and loading options to ensure holiday cheer – not holiday moving fear! If you are planning a move in the upcoming weeks before the holiday season comes to a close, let our movers know if you would like your decorations to be unloaded in a certain area of the house. Our movers are also willing to assist with setting up lights and assembling decorations in the home as needed. This may seem like an obvious one. However, it is important to make sure that painting and floors are inspected, heating is working properly and all utilities are turned on a few days before move in day. Also, if desired, it is important to request that floors are lined so they stay as clean as possible from elements like dirt, leaves and slush. Although December and February months are typically the off-season for moving companies, you will want to make sure to plan an upcoming weekend for your move based on the weather forecast. In the instance of a rain or snowstorm, a MoveStar consultant will contact you to discuss a potential plan to reschedule. In the event that it does snow on the day of your move, shoveling your driveway and walk paths is the last thing you want to do. Make sure to arrange for a snowplow to come by to ensure the ground is not slick and there is room for the moving truck and additional parking spaces as needed. You will also want to make sure to make arrangements for snow removal at your new home. When your belongings are loaded on our trucks and your current home is empty, the floors may need a good wash for the new homeowner. If you do not plan to wash the floors yourself, consider hiring our professional cleaning service to assist. Note: If you plan to have your new home cleaned, please make sure all arrangements are made prior to move-in day. By ensuring your children and pets are somewhere safe during the move will limit distractions and help speed up the moving process. For more packing tips for your move, click here. 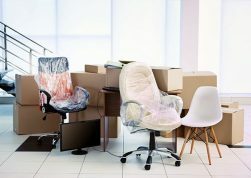 We hope these tips will help guide you as you plan for your move! If you have any questions on what is mentioned above, your MoveStar consultant will provide the answers you are looking for. Let us assist you in making your move a pleasant experience. Request a No Obligation Quote today or receive a quote by calling 972-716-9911. You may also send us a note at sales@movestarinc.com.